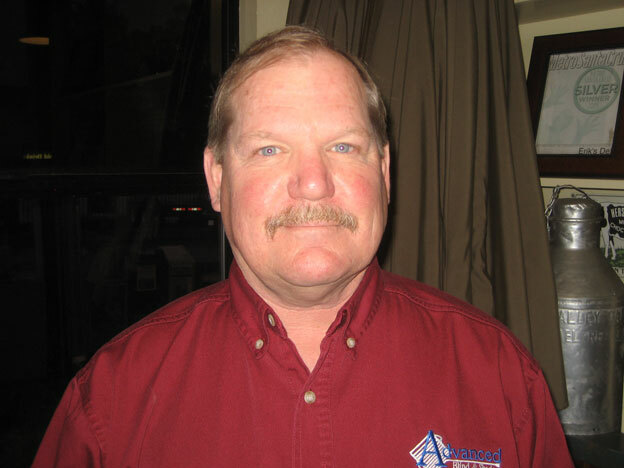 Bill Hodder of Advanced Blind & Shade knows a lot about custom blinds and shades! They custom make most blinds and shades right here in their own shops, using the latest industry technology. They also design, install, repair and clean their window coverings for both home and office. I highly recommend Bill and Advanced. Bill Hodder is the best window covering sales person I have ever worked with. He lis able to make great recommendations from the diverse options of window covering.Advanced Blinds and Shades offers. He is always on time, patient, hard working and kind. Advanced Blinds and Shades is a locally owned and managed company that cleans blinds, repairs blinds and even manufactures the window coverings locally. Bill is the one you want to call for anything to do with window coverings. I highly recommend him. Besides being a great guy Bill gets it done.Put shades in my house after I got new windows and I love em. “Made right and made right here” is true. They make their own blinds in Watsonville as well as offer other blinds made elsewhere. I like local myself and purchased those made here.Good service and willing to accomadate to fit your needs. You are in good hands with Bill Hodder and Advanced Blind and Shade. An expert in color and design, he can assist you with all of your window coverings to make your house be the envy of the neighborhood. Highly recommended…Locally owned and a wide selection to meet any need!